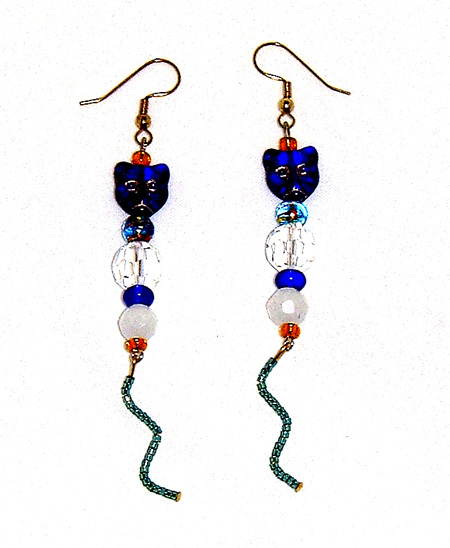 Hand made beaded cat hoop earrings, an original design by Mary. Colors are royal blue, turquoise, and crystal. Finish length excluding French wire is 3". Cats have moving tails.